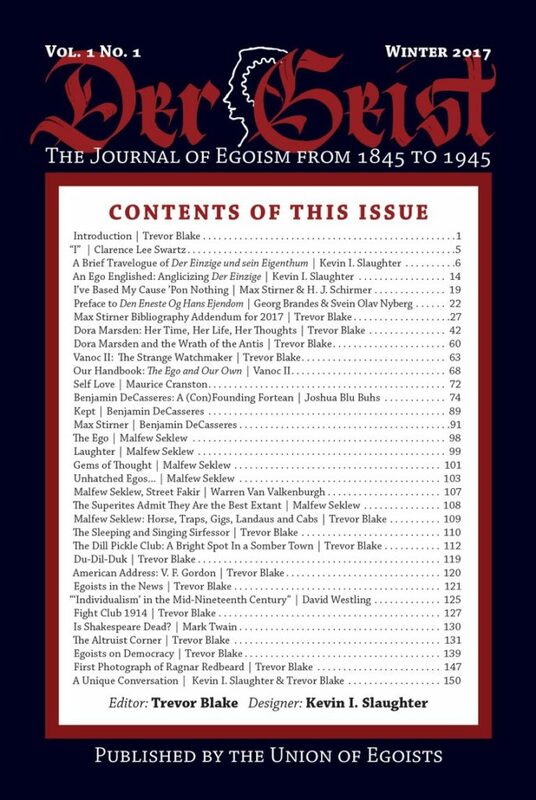 The newest issue of Der Geist, the journal of historical Egoism, is here. Rare and unpublished works from the first century of egoism-the philosophy of Max Stirner. 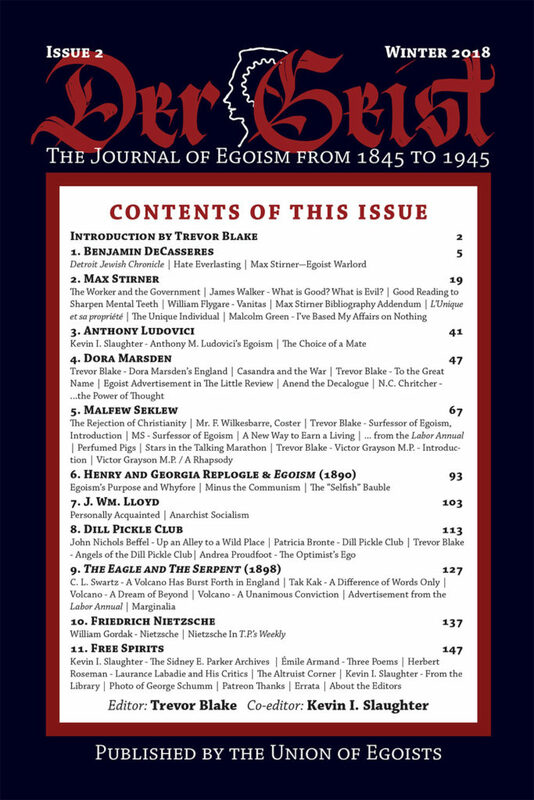 Unique translations of Stirner into English; significant archives of egoism rescued from the ash heap of history; blood and thunder from Friedrich Nietzsche complimented by the laughing philosophy of Malfew Seklew; pioneering publishers Dora Marsden and Benjamin R. Tucker; the controversies of Anthony Ludovici and the insights of Benjamin DeCasseres. All this and more in the second issue of Der Geist, published on the 211th anniversary of the birth of Max Stirner.